Mr Mohamed Rafi, 30, said he became a barista so he could impress women. He then turned to his fiancee and asked her if that was the reason she fell for him. Miss Nur Azlina, 29, a cafe manager, laughed before saying no. “It was more because of our love and passion for coffee that was the common ground between us,” she said. 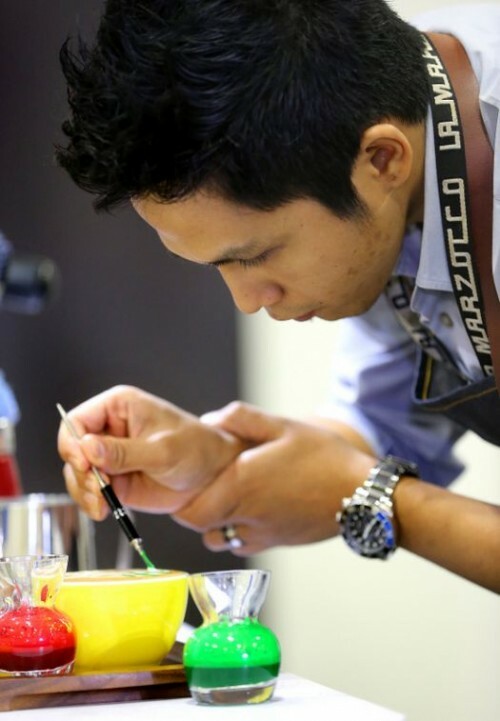 The couple were at Marina Bay Sands Expo and Convention Centre for the Singapore National Barista Championship and Singapore National Latte Art Championship. Mr Rafi is taking part in the competition for the second time. Read the full story in The New Paper on Friday (March 6).